A 20-year-old college student from Busan committed suicide this week after losing nearly 200 million won in cryptocurrency. Korean media reports the student had dropped out of college and was working as a social worker, but he was suffering from depression and insomnia due to the recent drop in cryptocurrency in the country. He was found lying on his bed Thursday with a plastic compression pack around his head when found by his mother in his apartment. A 13L gas tank of helium was also found in his room according to local media. This entry was posted in Crypto and tagged Bitcoin Crash on February 5, 2018 by Bone Fish. Did a bear market in cryptocurrency just start? Many people are convinced that cryptocurrency will crash sooner or later and investors should at least consider the possibility that this could happen. What to do if you believe in the future of cryptocurrency and are currently invested? Having experienced the previous Bitcoin bear market from the end of 2013 until 2015, I will share some lessons I learned. Down from a maximum market capitalization of about $800 billion, the cryptocurrency market has been falling to less than $600 billion in a less than 2 weeks. At moments like these, it can seem like the sky is falling. Almost all cryptocurrencies have fallen dramatically in a very short time period. The big three Bitcoin (COIN), Ethereum and Ripple are all down more than 25% from their all time highs. At the time this article gets published it could already be very different, but fact is that we reached a period of extreme volatility. What should investors who believe in the future of cryptocurrency do? When looking at the total market capitalization of cryptocurrency, it seems that the market has exploded in 2017. Though cryptocurrencies (especially Bitcoin) have a longer history, it was only during the previous year that the market really took off. Just look at the graph below, it makes you feel that cryptocurrency was virtually non-existent before the beginning of 2017. This makes us almost forget that cryptocurrency already experienced some dramatic downturns in the past. It is barely visible in the graph above, but let us take a look what happens when we zoom in on the time period from the end of 2013 until 2015. As we can see from the graph, from the end of 2013 total market capitalization of more than $15 billion dropped by about 75% to a bottom of around $4 billion in 2015. I think it is fair to say that this was a major bear market. Though there were heavy fluctuations in the price of cryptocurrency during this bear market, the entire process was much more gradual than you would expect of a market crash. Keep in mind that during this time period, a very big percentage of the cryptocurrency market capitalization consisted of Bitcoin only. We can learn from this that, contrary to what many people are claiming, the expected ‘crash’ in cryptocurrency might as well prove to be a long bear market instead like in 2013-14. At the end of 2013, I bought a limited amount of Bitcoin. Before buying I read a lot about the topic and I believed in the future of cryptocurrency. On top of this, I saw that the value of Bitcoin was booming and would not mind to get a quick win if the value kept rising quickly. But my main intention was to stay invested for a longer period of time. At first, the value of my investment went up quickly. But of course, I did not foresee the huge bear market which started not long after I invested. At one point in time, my investment was down by about 75%. The only way I was able to stomach this bear market was by mentally writing off the entire investment. I still believed in Bitcoin though and had hope that it would recover eventually. 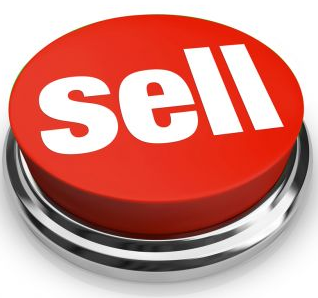 It goes without saying that I am very happy that I didn’t sell in desperation. In hindsight, this probably means that I managed my risk tolerance in the right way, if I would have bought more Bitcoin I would have likely sold a big part of it during the downturn. A crash in cryptocurrency is different from a stock market crash: good companies still continue to pay dividend and make profit, even if their value drops dramatically. Bonds will still pay their coupon rate as long as the debtor doesn’t default. Cryptocurrency does not produce any of such income and can theoretically go to zero. This is the reason why it is so important to manage your risk tolerance: honestly consider a worst case scenario and only buy cryptocurrency with money you can truly miss. Never buy crypto with borrowed money! You have the potential to win big, but might also lose much more than you own. People who went into debts to buy Bitcoin at the end of 2013 likely got slaughtered. I am assuming that people who are invested in cryptocurrency believe in the long term viability of it. This article is not written for short term traders. There are a couple of things you can do when the crash or the bear market arrives. The first option is to sell, wait until the crash is over and maybe invest again. This strategy has the glaring downside that you might mistime and miss a lot of profit. Even worse, there might be no crash or bear market at all. But this option is especially attractive if your risk exposure is relatively high or if you are already sitting on huge profits. 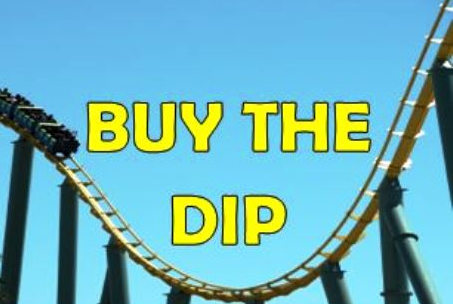 If you truly believe in your investment, you can buy the dip. The difficulty of this strategy is that it stretches your exposure to risk. You might end up with a much larger risk than you intended, so be careful! When the market recovers quickly, this might be a winning strategy though. 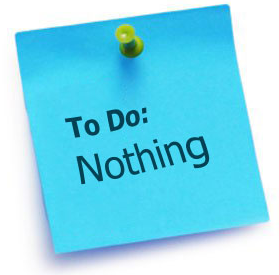 It is said that doing nothing is often the best strategy when it comes to investing. Re-evaluation of the potential options is something which most investors do all the time, and when you are not sure, not doing anything seems like an attractive choice. Make sure your exposure to risk is within your tolerance when choosing this option! This can be done in different ways: buying put options for instance is a way to ensure you will no longer be affected by a huge downturn. Diversifying your investment between multiple cryptocurrencies is also a solid strategy to not depend on a single cryptocoin. You could also buy put options on Bitcoin and go long a different cryptocurrency if you believe the second will outperform. Also, consider your exposure to stocks, bonds and cash. There are many possibilities to diversify, but no single one is the best, they all have their advantages and disadvantages. 1. The predicted crash, if it arrives, might actually prove to be a long lasting bear market. 2. Only stay invested if you would be able to stomach a 100% loss of your crypto investment. 3. Never, and I really mean never ever, buy cryptocurrency on credit. If you did so, make this undone as soon as possible. 4. Surviving a possible crash is all about managing your risk tolerance. 5. 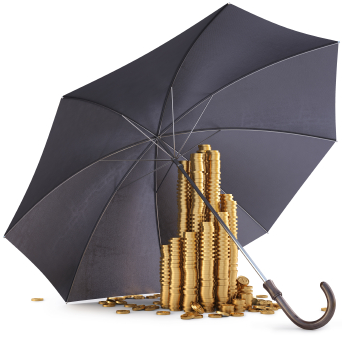 Consider protecting your investment by diversification or buying protection. 6. Timing the market is very difficult. Do not invest to get rich quickly (unless you are a trader and really know what you’re doing). 7. If you do not believe a crash or a bear market is coming, by all means invest! But be sure to manage your risk tolerance and at least consider the possibility of a crash. It will happen eventually. This entry was posted in Crypto and tagged Bitcoin, Bitcoin Crash on January 18, 2018 by Bone Fish.